MONITOR MADNESS! Free I.T. Athens still has A TON of monitors, so the monitor sale has been extended. Monitors 19″ and below are now $10 off! 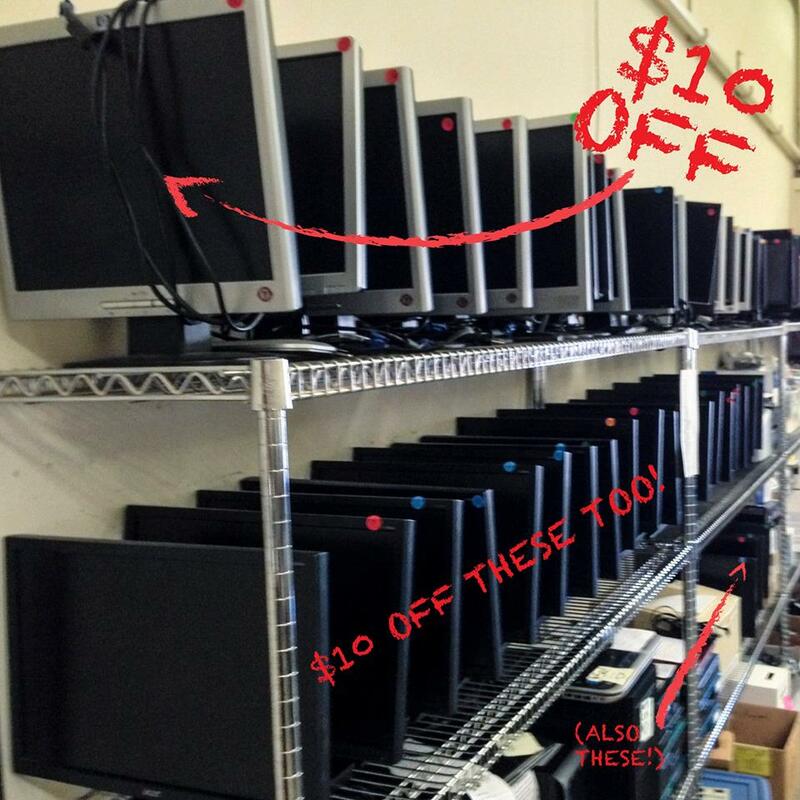 Get a monitor for as little as $10 bucks on Wednesday, Friday, or Sunday until Monitor Madness ends. 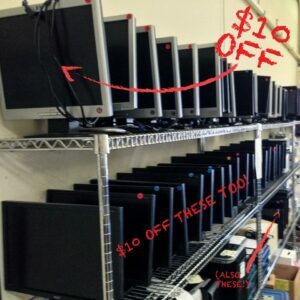 $10 off monitors 19″ and below! Come to Free I.T. Athens Wednesday between 6p and 8p, Friday between 3p and 7p, or Sunday 1p and 5p to pick up your monitor (19″ or smaller) and get $10 off. Don’t forget to share snapshots of how you use your refurbished monitors on the Free I.T. Athens Facebook page or tag @FreeITAthens on Twitter. Previous PostVirtualBox TutorialNext PostFree I.T. Athens is Moving!